You are here: Home › Business Law Services › Should I Register My Corporate Name As A Trademark? Should I Register My Corporate Name As A Trademark? Starting your own business is a daunting task that requires a level of enthusiasm and determination that most people simply don’t have. You have a business idea and you want to be your own boss so you’ve collected all of the paperwork and now you’re ready to get down to the business of starting your business. Now what? Now you need an Edmonton business lawyer to help you make sure all of your early stages paperwork is complete. The first step is naming your business and once you have done that you will need to register your business and decide if you want to trademark your name as well. It is here that having a good business lawyer will make this process easier. People often contact a business lawyer because they have no idea how to register the name of their business and they want to make sure they own the name they choose. The creative name you choose such as Bob’s French Bistro is up to you and your Edmonton business lawyer will help you figure out if that corporate name is available for your business. This is an important step because if you choose a business name that already exists, trademarking your corporate name will be difficult and you may get mired in legal proceedings. Should You Trade-Mark Your Name? Many new business owners operate under the mistaken belief that simply registering their business gives them full ownership of the name. Any Edmonton business lawyer will tell you that this just is not the case. Registering your business just gives you permission to operate a business legally; it does not mean that someone else may not use the same name but with a different legal element (i.e. Incorporated, Corporation or Limited). Protecting the value of your company in Canada. Provides proof that you own your business name. 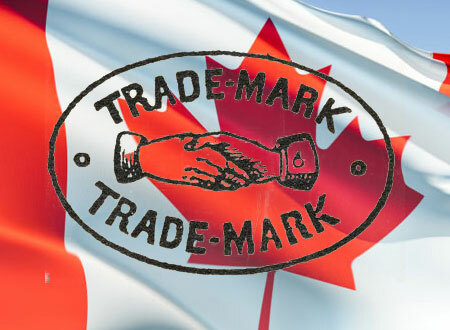 Indefinite renewal for exclusive rights of your trade-mark in Canada. Prohibits other businesses or individuals from using a name similar to your business in an effort to confuse customers. Allows trade-marked business to file a trade-mark infringement under the Trade-marks Act. It is not required that you trade-mark your business but Edmonton business lawyers will tell you that the benefits and value to your business are immeasurable. In addition to the listed benefits of registering your corporate name as a trade-mark it will also allow you to stand out in the national or global marketplace. Whether you choose to use a logo, emblem or catchphrase to act as your trade-mark is your decision. You may opt to use a combination of these, like many popular trade-marks use, to maximize your exposure and familiarity to customers. By using an Edmonton business lawyer to help you start your business you can make sure your corporate name, business name and trade-mark are legally yours, which will prevent problems in the future. You do not want to establish your business name only to find out that someone else has it trade-marked and an experienced business lawyer can make sure that doesn’t happen before you have to change your name. Before you see your business lawyer you should make sure you have several possible business names chosen and trade-mark ideas. This will reduce paperwork and ensure you end up with a name you want, rather than what is simply available. Being distinctive in your field is a huge advantage in business so let one of our lawyers help you stand out in a crowd.